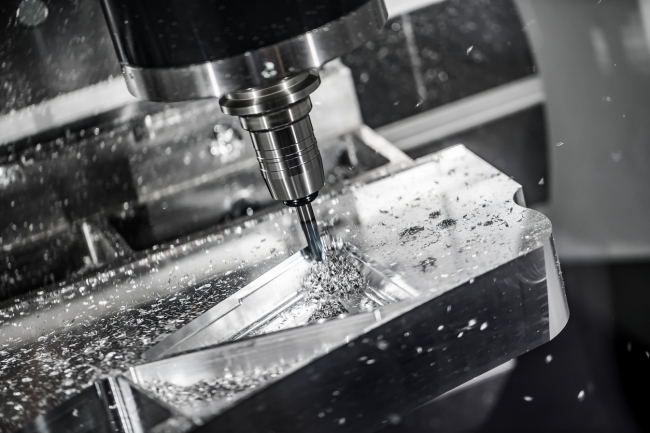 Britain’s manufacturers are enjoying buoyant conditions on the back of export markets going from strength to strength according to a major survey published today by EEF, the manufacturers’ organisation and accountancy and business advisory firm BDO LLP. 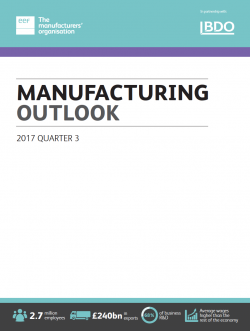 According to the EEF/BDO Q3 Manufacturing Outlook survey manufacturers have taken the continued political upheaval and uncertainty at home in their stride, taking advantage of the upswing in the Eurozone in particular, as well as the synchronised upswing in global trade. In contrast to confidence about their company performance, however, the same cannot be said for their outlook for the UK economy where confidence indicators have dropped for the second quarter in succession in response to weak consumer spending and political uncertainty. Moreover, inflationary pressures have not completely subsided, with recent sterling depreciation likely to provide another ripple of price increases in the coming months. Commenting, Ms Lee Hopley, Chief Economist at EEF, said: “Manufacturers appear to have taken the recent political upheaval in their stride and are taking advantage of growing world markets to make hay while the sun shines. This period is likely to be the peak, however, and we are likely to see a more stable picture in the coming months rather than any further significant acceleration. Tom Lawton, Partner and Head, BDO Manufacturing, said: “Despite the economic and political uncertainties, manufacturers’ continue to be a force to be reckoned with, delivering a strong performance as well as increasing both investment and employment plans to make the most of the strengthening export opportunities available to them. According to the survey, both output and orders were in healthy territory with the output balance surging to +34% (+26% in Q2) with expectations that it will remain in this area going into the final period of the year. Orders balances have seen further gains with total orders reaching a historic high of +37% (+25% in Q2). Whilst UK orders remained on the softer side, export orders have continued to climb, reaching a balance of +33% (+28% in Q2). Whilst this tallies with the improvement in global trade across all markets, the survey showed that EU prospects continue to stand out. Three fifths of companies reported positive demand conditions across the UK’s largest market, virtually unchanged from Q2, up from 47% a year ago and double the figure for Asia. 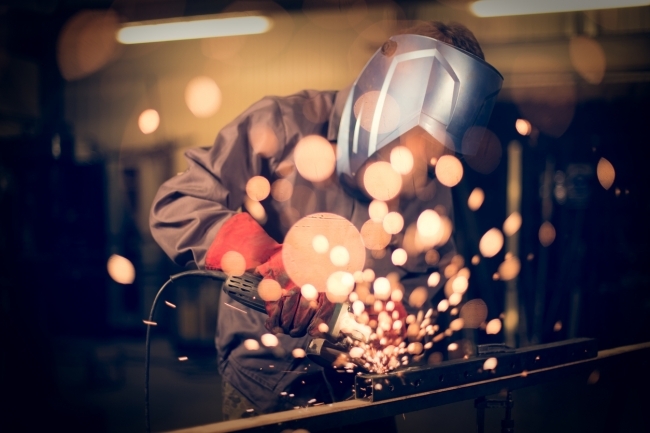 Looking forward EEF believes the third quarter could, however, mark a peak with forward looking expectations indicating that manufacturers are expecting more of the same rather than any further acceleration in the final period of the year. The positive picture for industry has translated into an increase in recruitment and investment intentions. The balance of companies taking on more employees rose for the fourth consecutive quarter to +25% (+21% in Q2), reaching a three year high in the process. Similarly investment prospects have had a strong quarter with capital expenditure plans more than doubling to +15% (+7% in Q2). Looking ahead, despite the buoyant picture the cloud on the horizon remains the UK economy. While firms are confident of their own performance, EEF’s indicator for the UK economy has slipped for the second quarter running in response to the continued political uncertainty and squeeze on consumer spending. As a result EEF continues to expect tepid GDP growth of 1.6% this year and 1.3% in 2018, with manufacturing growth of 1.0% and 0.5% respectively.